Morrissey writes movingly about the two-year relationship. "Jake and I neither sought not needed company other than our own for the whirlwind stretch to come," he writes. "Indulgently Jake and I test how far each of us can go before 'being dwelt in' causes cries of intolerable struggle, but our closeness transcends such visitations." 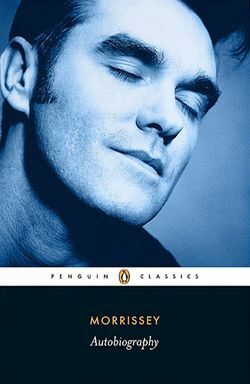 Morrissey never specifies whether they were lovers, but talks of sharing hotel suites, of being photographed with his head "resting on Jake's exposed belly", and of Jake bringing him tea in the bath. He also recounts an exchange at an airport. "'Well,' says the woman in the British Airways lounge, 'you're either very close brothers or lovers.' 'Can't brothers be lovers?' I imprudently reply – always ready with the pointlessly pert, whether sensible or not." "Girls remained mysteriously attracted to me," he writes, "and I had no idea why, since although each fumbling foray hit the target, nothing electrifying took place, and I turned a thousand corners without caring … Far more exciting were the array of stylish racing bikes that my father would bring home." Also, Nico Hines at The Daily Beast has pulled out 13 of what he says are the book's juiciest moments.